102 Silk Finish: My favourite of the whole set, the Silk Finish is a very dense foundation brush that flawlessly applies and blends everything from a light BB cream to a heavy duty foundation. I’ve not even looked at my MAC Duo Fibre brush since this beauty arrived. 106 Powder: A super silky powder brush described by ZOEVA as ‘Velvety Finish’ - I couldn't agree more! 110 Face Shape: This brush is great for contouring, I’ve mostly been using it with my Soleil Tan De Chanel and I’m seriously impressed. 127 Luxe Sheer Cheek: This powder blush brush is a great dupe for the MAC 168 angled contour brush and at less than half the price. 142 Concealer Buffer: Another stand out in the collection - I’ve always struggled with concealer brushes but this applies product really evenly without leaving any hideous brush marks. 227 Soft Definer: The perfect blending brush. I've only recently started experimenting with more of a smokey eye and this brush has made it so much easier. 231 Petit Crease: A tapered brush to accentuate the crease of the eye, I find the pointed tip really easy to work with. 317 Wing Liner: Being a winged eyeliner addict, the precision of this brush makes it another clear favourite! The Petit Crease brush is lovely - I'll definitely be buying more! This set has been on my wish list for ages! I am thinking of investing this month although you are right, might be worth holding out for the new bits! 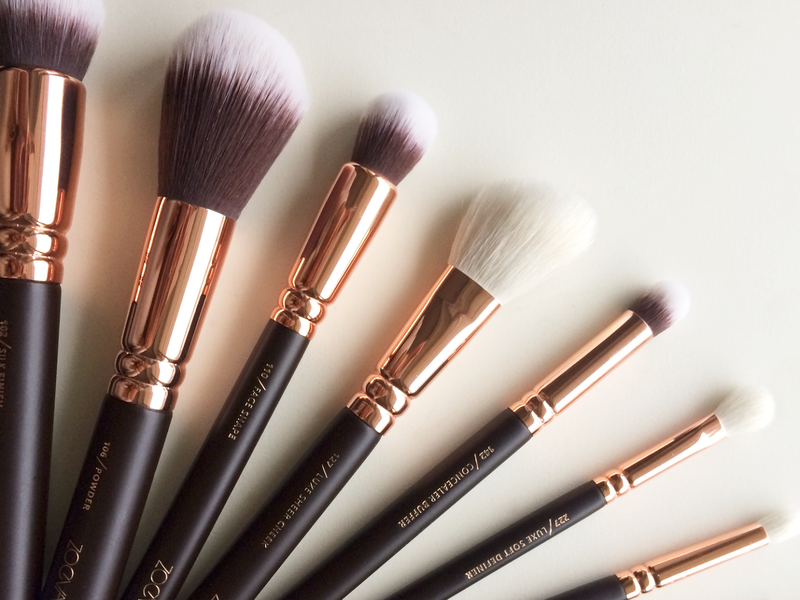 Thanks Zoeva sharing to eight kind brushes for makeup,i thinking this brushes useful our skin when we design beauty spa.